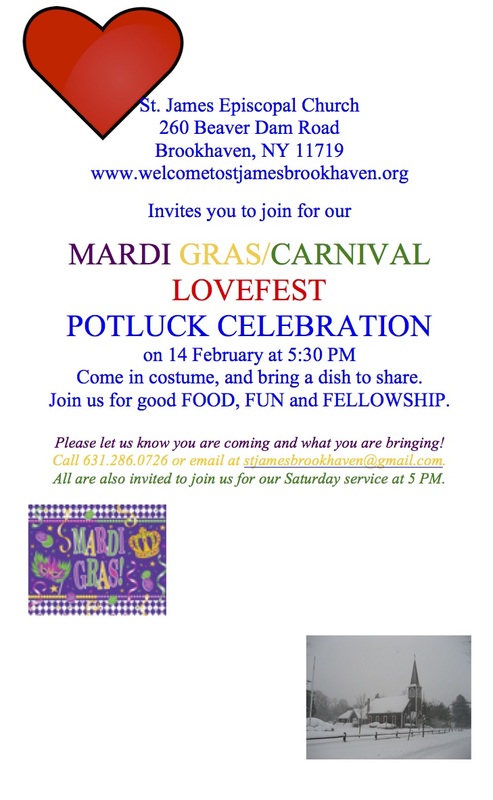 Join us on 14 February for a Special Saturday Evening Service followed by a Potluck celebrating Mardi Gras/Carnival and Valentine’s Day. Join us and bring the ones you love. ALL are invited and welcome!!! !